What is being done about income inequality? What is Senator Johnson doing to prevent jobs from leaving Wisconsin? How do you think we can make the tax system less complex? 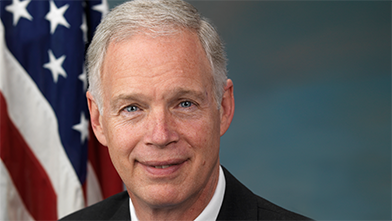 Sen. Ron Johnson hosted this call to talk with constituents in Wisconsin. He has used 48 telephone town halls to connect to more Wisconsinites in a way more convenient to them. Senator Johnson believes that all Wisconsinites share the same goal – a prosperous, secure America. Ways of achieving that include limiting the growth in the size and scope of government, allowing the economy to grow more strongly, and protecting our environment. Callers to this telephone town hall were concerned about many issues, including illegal immigration, tax reform, and income inequality. Protecting citizens from acts of terrorism and repealing Obamacare were also discussed by participants and Senator Johnson. He pointed out that Republicans have proposed many thoughtful ideas to replace Obamacare with genuine health care reforms.